An on-board LED gives Trash Level Indication to users and sensor data to the utility companies can be used to devise an optimized collection route. 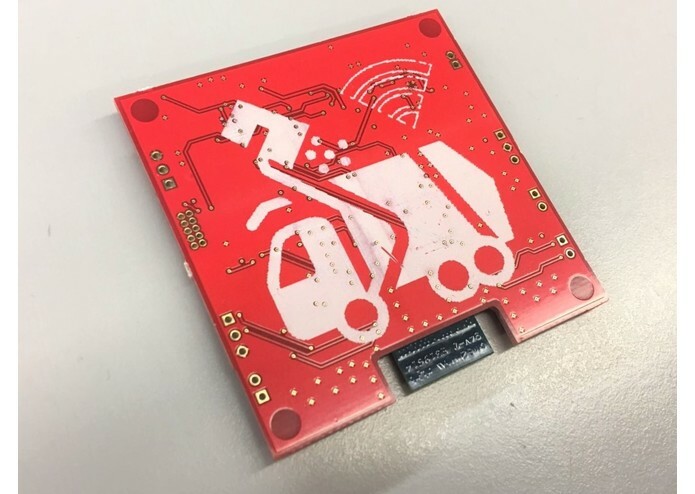 When it runs, each device will send the real-time trash level constantly, hence it it's full, it will indicate using LED (actuator) and would update the cloud with Time Stamp and will also send message to driver to pick it up. 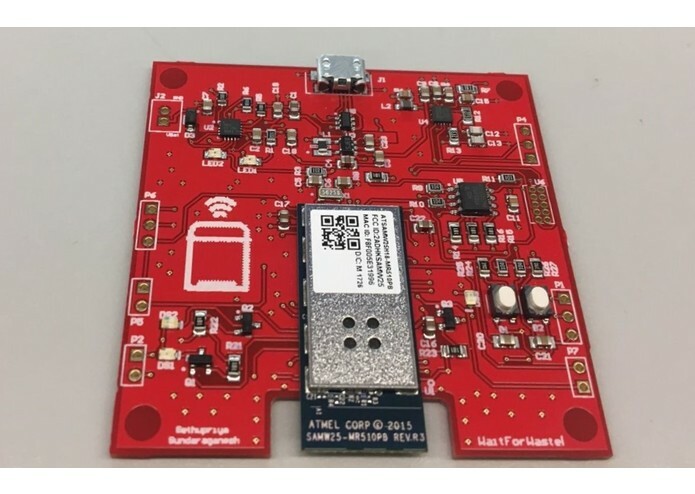 We built a Custom PCB, and developed a firmware that could interface with the Cloud. In cloud, each device data is individually recognized and will be constantly monitored. Also the cloud is capable of performing sanity tests remotely checking the actuator LED and temperature at which the device is working. The bootloader will start with checking the nvm_firmware_info for update presence. Since it is the first time with no update present in flash, it will go into the application code. In app code, if we give the option of "update" from cloud then it will download the firmware. Then based on it's integrity, it will update the NVM struct and then restart bootloader. In bootloader, sensing the update presence, it will transfer to NVM and start application code. 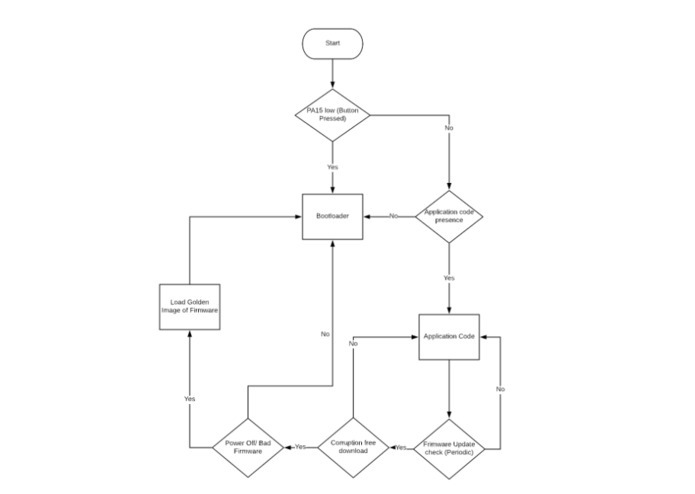 The exact flow is explained in flowchart attached.